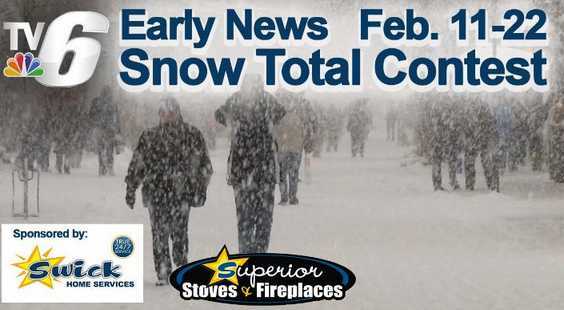 Enter into the WLUC TV6 Snow Total Contest now through February 25, 2019 for your chance to win grand prize of $500 gas card and a $500 food card or win daily prizes. Prize: There will be total eleven (11) lucky winners in this Sweepstakes, One $100 gas card per day for a total of 10. The Grand Prize is a $500 gas card and a $500 food card. Who Can Enter: Open only to legal residents of the United States and D.C (except NY and FL) who have reached the age of 18 years old at the time of entry. When To Enter: This sweepstakes entry begins at 6pm EST on February 11, 2019, and all entries must be received by 11:59 p.m. ET on February 22, 2019.